In March 2016, a ransomware program called KeRanger was discovered by Palo Alto Networks. It is believed to have affected over 7,000 Mac users, whose personal data was rendered unusable by encryption. This once again illustrates that Mac systems are not immune to infection by malware, and that it is advisable to take precautions to protect them. 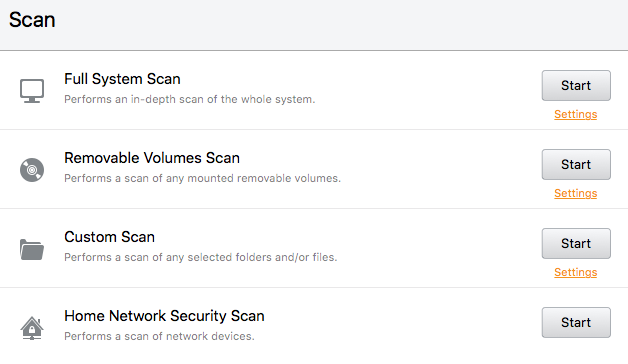 In addition to the interface review described above, we have also conducted malware protection tests to see how effectively the Mac security products protect the system against malware. For this test, we used the 50 most recent and prevalent Mac malware samples (such as KeRanger and OceanLotus) that are not blocked by Mac OS X itself. All are distinctly malicious, functioning, self-contained programs and were seen in-the-field in 2016. We did not include any potentially unwanted or “grey” samples (adware, hacking tools, etc.) in the test set. We also excluded corrupted files, and component files (which cannot run independently), as these do not pose a risk by themselves. We ended up with a sample set consisting of 50 malicious Mac apps (made up of variants of seven Mac malware families), found in-the-field, that pose a risk to users, and should thus be covered by Mac Security products. The test set may be smaller than those used in some other tests by magazines etc., but any magazine claiming to use more samples most probably includes PUAs, corrupted files or outdated samples. In fact, the number of new Mac malware families appearing per year is usually less than a dozen. Before the test, the Mac OS X system was updated and an image created; no further OS X updates were then applied. Each program was installed on the freshly imaged machine and the definitions updated to the 4th July 2016. The Mac remained connected to the Internet during the tests, so that cloud services could be used. A USB flash drive containing the malware samples was then plugged in to the test computer. 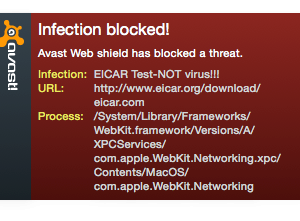 At this stage, some antivirus programs recognised some of the samples. We then ran an-on demand scan of the flash drive, either from the context menu if available, or from the main program window if not. Samples found were quarantined or deleted. After this, we copied the remaining samples to the Mac’s hard disk. Any samples not detected or deactivated by the scan or real-time protection were then executed, providing the security product with a final chance to detect the malware. After each active infection, a full-scan was performed, in order to give the products a chance to check for active malware. Most of the Mac security products in our review claim to detect Windows malware as well as Mac malware, thus ensuring that the user’s computer does not inadvertently act as a conduit for programs that could attack Windows PCs. For this reason, we also checked if the Mac antivirus products detect Windows malware. We used 250 prevalent and current Windows malware samples (according to the AMTSO Real-Time Threat List – RTTL); the procedure was identical to that for Mac malware, except that we did not make any attempt to run any of the samples that were not detected in the scan, as Windows programs cannot be executed under Mac OS. Any of the program’s features other than the tested malware protection, such as a firewall or phishing protection, are listed. We note any options or points of particular interest encountered during the setup process. We look for a System Tray icon and menus in the Mac menu bar, to see what additional commands are available there. We note whether a scan be started by right-clicking a file, folder or drive. Finally, we check whether any extensions are available for the built-in Safari browser. We find out if a user with a non-administrator user account can disable the protection or uninstall the program. We check to see if there is a status display that shows an alert if real-time protection is disabled, and if so, whether there is a Fix-All button to rectify the problem when it occurs. We look for a means of manually updating malware signatures. We check whether a quick scan, full scan, custom scan and scheduled scan all be run, and if so, how this is done. We find out how the program’s settings, quarantine and log features are accessed, and where to find licence information (where applicable). We look to see what help facilities are available and how clear and comprehensive they are. 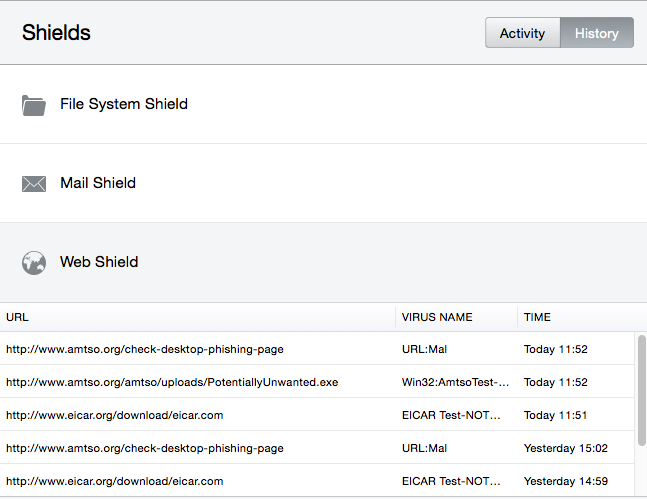 We check what sort of alert is shown when the EICAR test file and AMTSO Potentially Unwanted test file are downloaded, and the AMTSO Phishing Test page is accessed. If the program displays search ratings for Google searches with Safari, we point this out. Avast Free Mac Security is an antimalware program with phishing protection. We feel Avast Free Mac Security has all the important features of an antivirus program and is largely very simple to use. 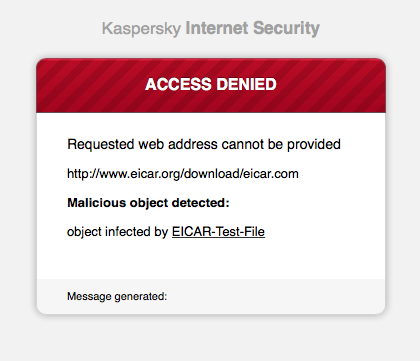 We particularly liked the informative and persistent malware alerts. Protection against Mac malware in our test was flawless. A suggestion for improvement would be to add a “Fix-All” button to make it easier to reactivate the protection if it is disabled. Finally, there is an option to install Google Chrome (we declined). No extensions or other modifications are added to Safari. 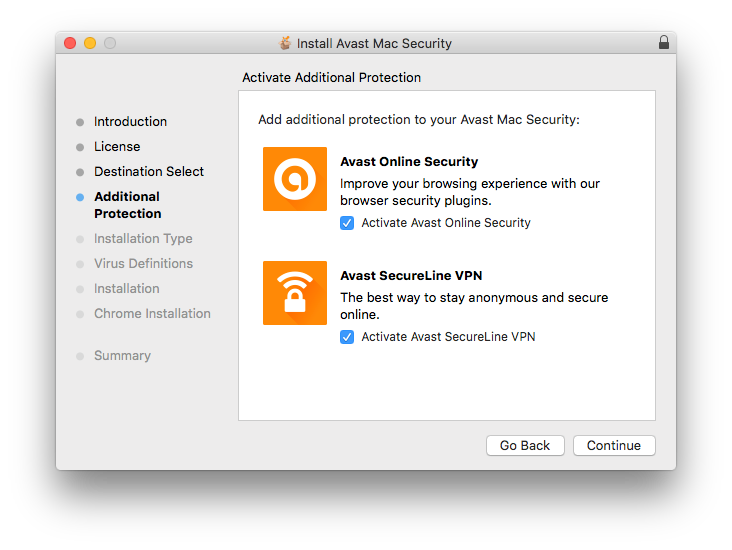 The program can be uninstalled by re-running the installer file, or from the Avast Mac Security menu (described in the local help file). Uninstalling the program or disabling the protection requires administrator credentials to be entered, even if the current user has administrator status. There is however no obvious way of reactivating the protection, the user has to go into Preferences to find the appropriate switch. The promising-looking Shields link in the menu panel does not have an on/off switch. Malware signatures can be updated by going into Preferences, Updates, and clicking Update now. 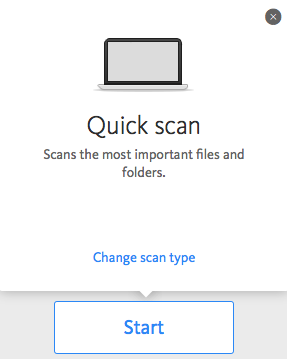 A custom scan can also be run by right-clicking a drive, folder or file. We could not find a means of setting a scheduled scan. The product has a local help feature, found by clicking the Help menu, then Avast help. This provides a brief overview of the main features of the program. There is also an online FAQ section, also accessible from the Help menu. The AMTSO Potentially Unwanted Application test file and phishing test page are also blocked, with similar browser alerts and pop-up warnings shown. 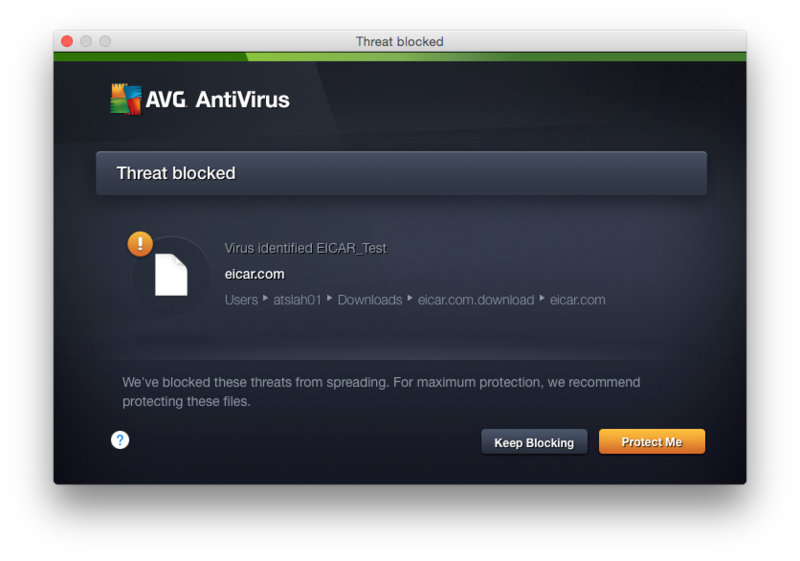 AVG AntiVirus for Mac is a fully featured antimalware program. We found the interface of AVG AntiVirus for Mac to be very clear and straightforward, making it suitable for experts and non-experts alike. The help feature is simple but useful. Protection against Mac malware in our test was flawless. We feel that a separate log feature would be a useful addition. A 220 MB .DMG installer file is downloaded from the AVG website. The installation wizard allows the user to change the installation folder. The user is invited to register an AVG account or log in with an existing one. There is a Skip for Now option; it appears that the program functions fully if the user clicks this. 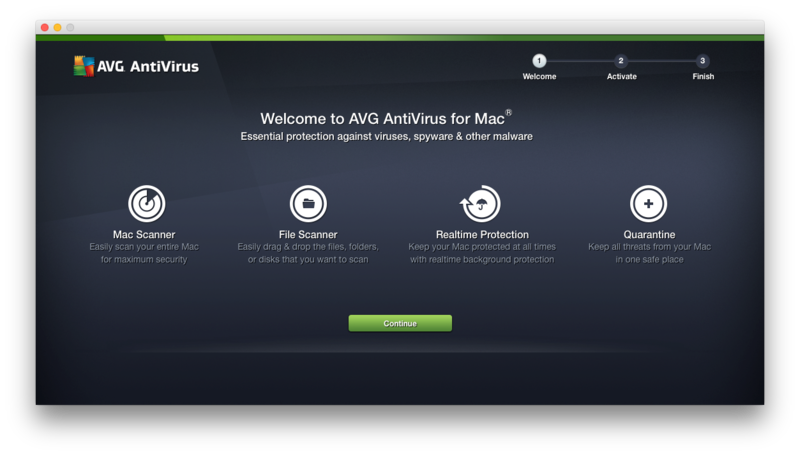 AVG AntiVirus for Mac adds menus and a System Tray icon to the Mac menu bar, but does not alter Safari or the Finder context menu. 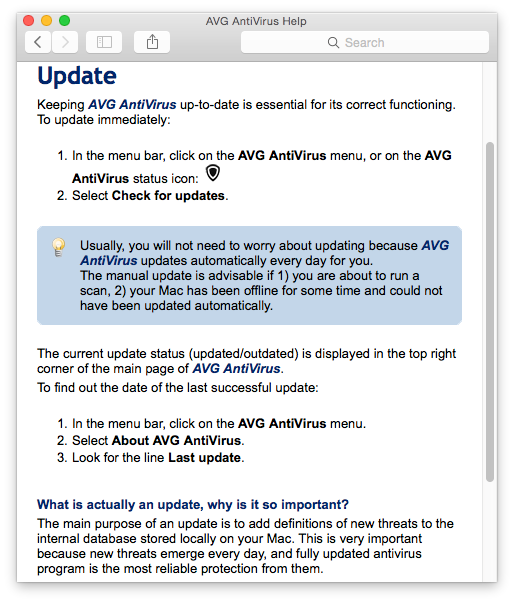 The software can be uninstalled from the AVG AntiVirus menu in the Mac menu bar; this is described in the product’s FAQ page on the AVG website. Uninstalling the program or disabling the protection always requires administrator credentials to be entered, regardless of whether the current user is an admin or standard user, thus preventing unauthorised access. 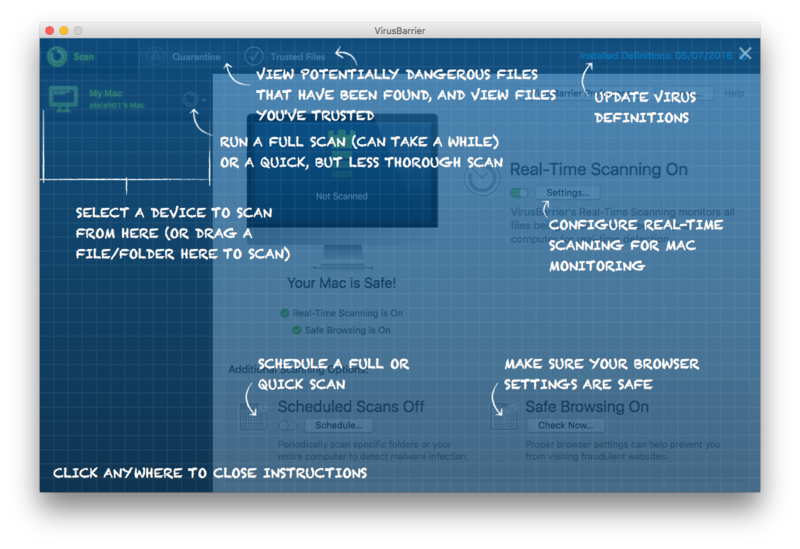 Full scans can be run from the Mac scanner panel in the main program window, or the System Tray menu. The File Scanner panel in the main window lets users drag and drop a file, folder or disk to scan, or browse for an item by clicking Scan Files. We could not find a means of scheduling a scan. Settings (Preferences) can be accessed from the AVG AntiVirus menu in the Mac Menu bar. Quarantine has its own tile in the main program window; we could not find a separate log feature. In the example above, we liked the explanation of what an update is and why it’s important, and the note about automatic updates and when a manual update is advisable. Whilst the local help file is quite limited in scope, it does include a link to the program’s FAQ page on the AVG website. The alert for the AMTSO Potentially Unwanted test file is the same. Clicking the highlighted Protect Me button quarantines the detected file. The AMTSO phishing test page was not recognised in our test. 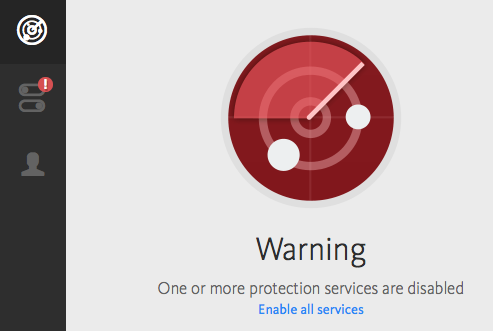 Avira Free Antivirus for Mac is a straightforward antimalware program. 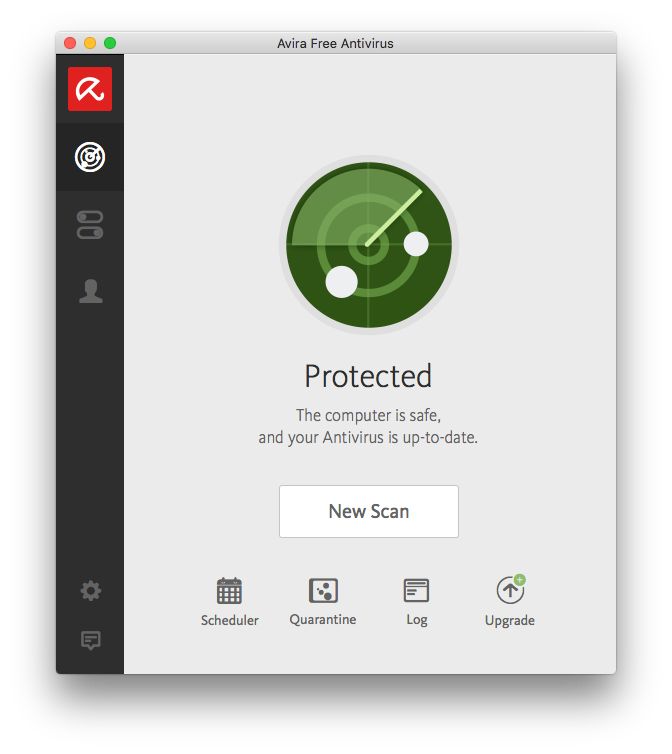 Avira’s Free Antivirus for Mac is very simple to install and use, and makes all important functions easy to find. We particularly liked the instructions on the download page for starting the installer, the expandable tool tips in the main program window, and the system tray icon showing protection status with an open or closed umbrella. Protection against Mac malware in our test was flawless. 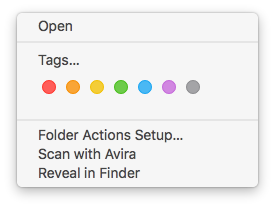 We initially tested Avira Free Antivirus for Mac at the beginning of July 2016, and suggested to the vendor that a log function and Finder context menu would be useful additions. We are pleased to report that Avira responded very rapidly to this, and released a newer version that includes both of these features; we have updated this review accordingly. The setup wizard requires the user to accept a licence agreement, and there is the option of changing the installation drive. Otherwise, there are no decisions to make. 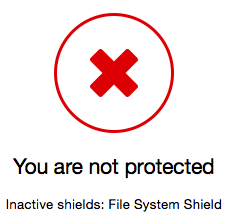 The System Tray icon indicates whether protection is enabled or not, by showing an open umbrella for protection active, closed umbrella for protection inactive. The program can be uninstalled with its own removal tool, which is located in the Applications | Utilities folder. Instructions for using this are provided in Avira’s online knowledge base. Disabling real-time protection always requires administrator credentials to be entered, regardless of whether the current user is an administrator or standard user, thus preventing unauthorised access. Administrator credentials are also required to uninstall the progam. Clicking Enable all services immediately reactivates the protection. Malware signatures can be updated by clicking Update in the program’s System Tray menu. The Scheduler button, just below the scan button, allows a scheduled scan to be configured. 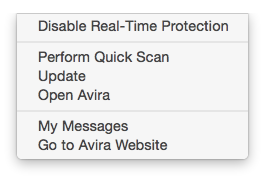 Settings (Preference) can be accessed from the cog-wheel icon in the bottom left-hand corner of the program window, or the Avira menu in the Mac menu bar. Quarantine is easily accessible from the button of the same name on the home page. Logs can be displayed by clicking the Log button on the program’s home page. 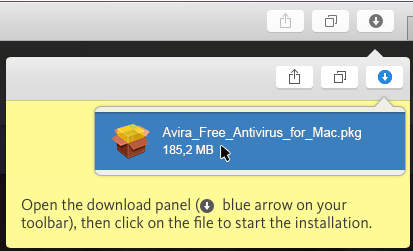 Clicking the program’s Help menu in the Mac menu bar, then Avira Help, opens the product’s knowledge base on the Avira website. This has a very prominent search box for entering queries. We were able to find detailed and illustrated instructions for uninstalling Avira Free Antivirus for Mac, but a query on running an update only produced answers on how to update the product version rather than the signatures. Unfortunately, the message box is not big enough to display the full message, so the user cannot see where to find more details. Clicking or double-clicking the message itself has no effect. The AMTSO phishing test page was not recognised in our test. In addition to providing malware protection, Bitdefender Antivirus for Mac also blocks phishing websites. The new design of the program window is similar to the program’s Windows counterpart, and we had no difficulty finding any important features in the program’s interface. There is a well-produced, clearly written, neatly laid-out and comprehensive user’s manual, easily accessible from the Help menu. Protection against Mac malware in our test was flawless. 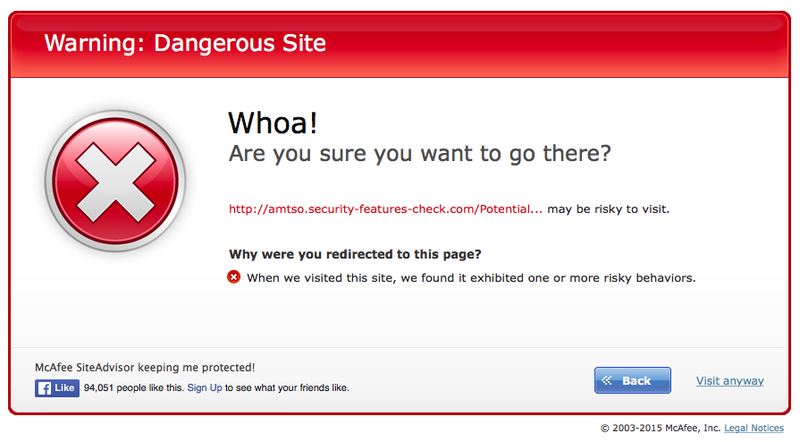 We found that the AMTSO Phishing Test Page was only blocked rather sporadically by Bitdefender’s TrafficLight extension for Safari. Likewise, the ratings for search results did not always appear for Google search results. The user has to create a Bitdefender account and log in. A 2.7 MB .PKG installer file is provided. The user can choose to install which disk to install the application on. 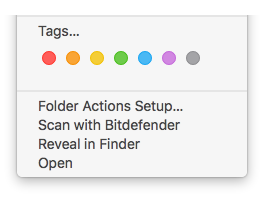 Bitdefender Antivirus for Mac adds its own menus and a System Tray icon to the Mac Menu bar, as well as a scan entry in the context menu. It also installs a Safari (and Chrome and Firefox) extension called TrafficLight, which can be enabled after setup. This is a safe browsing feature. The program can be removed from the computer using its own uninstaller found under Apps/Utilities. This is described in the user guide. Attempting to disable Autopilot (real-time protection) or uninstall the program produces an OS X prompt for administrator credentials, regardless of who is logged on at the time; this prevents non-administrators from deactivating or removing the protection. The warning instructs the user how to remedy this: Turn Autopilot ON, and the button for this is conveniently situated just to the right of the status text. A manual update of malware signatures can be run by clicking the Actions menu, Update Virus Database. We could not find a means of setting a scheduled scan. Subscription information is shown in the bottom right-hand corner of the program window. 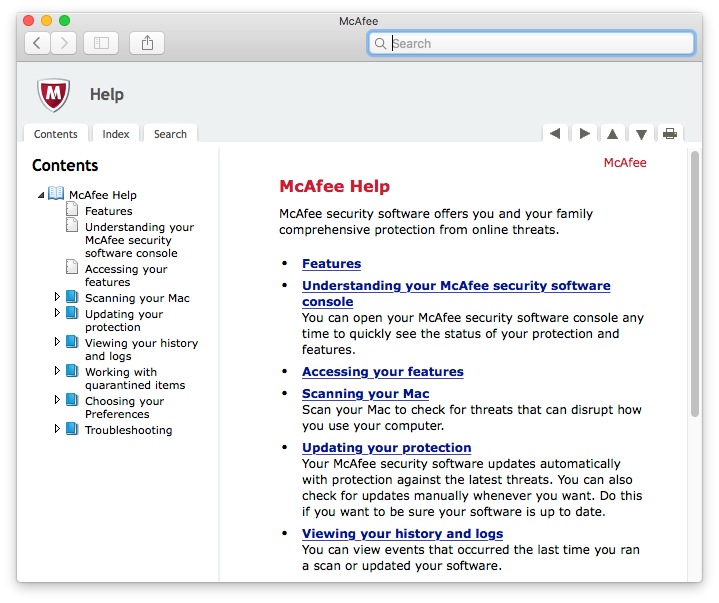 Clicking the Help menu, then Antivirus for Mac Help opens the product’s user guide in .PDF format. This is a comprehensive, 48-page document covering all aspects of installing, configuring and using the program, with a clickable contents page and numerous screenshots. 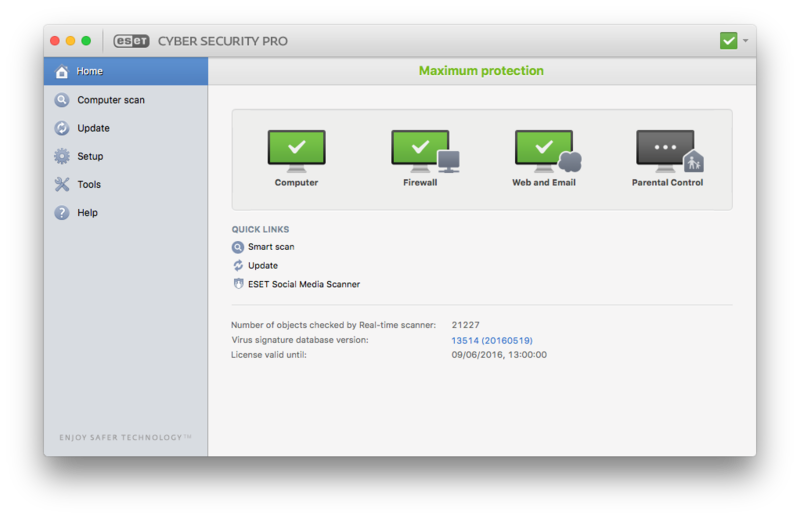 Cyber Security Pro includes malware protection, phishing protection, parental controls and a firewall. As with previous incarnations of ESET Cyber Security Pro, version 6 has an extremely clear and well-designed interface, making it easy to use for both experts and non-experts. Help facilities are exemplary. 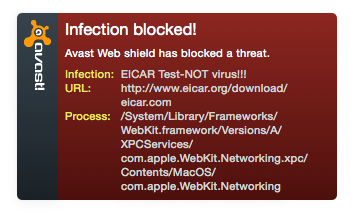 Protection against Mac malware in our test was flawless. An 87 MB .DMG installer file is provided. The two manuals for the product can be downloaded from the same page as the installer. The installer offers standard and custom installation types. 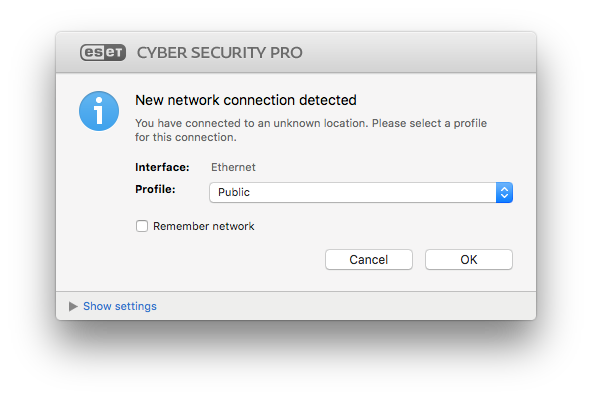 The standard installation asks the user whether they want to join LiveGrid (ESET’s data-sharing scheme), and whether to enable detection of potentially unwanted applications (we chose to do so). The options provided under Menu Type are Full, Only Scan and Only clean; it is not clear to us what the differences between these are. If the Full option is selected, the ESET options are shown in a sub-menu called Services; it was not immediately apparent to us that this was related to ESET, and so we did not initially look here to find scan options. The program can be uninstalled by re-running the installer, and clicking Uninstall. The program cannot be uninstalled, or the protection deactivated, without entering administrator credentials. Protection can be reactivated by clicking Enable real-time file system protection. Cyber Security Pro provides the standard automatic and manual signature update features; the latter can be run from the links in the main program window, or the System Tray menu. Settings (Preferences) can be accessed via the ESET Cyber Security Pro menu, System Tray menu, or Setup page of the program window. Quarantine and logs can both be found on the program’s Tools page, while subscription information is displayed on the Home page. Both the local help feature and the ESET online Knowledgebase can be accessed from the program’s Help page or the Help menu. The local help window provides comprehensive text instructions, with some screenshots, for installing, configuring and using the program. The ESET Knowledgebase is a searchable FAQ page, and provides very detailed instructions with annotated screenshots for a wide range of common tasks. A quick-start guide and comprehensive manual, both well illustrated and produced to an excellent standard, are also available from the vendor’s website. 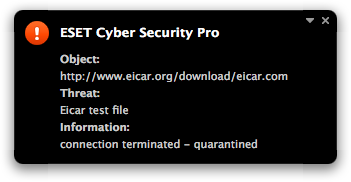 If the user attempts to download the EICAR test file, the first alert is displayed. If detection of potentially unwanted programs has been enabled in the settings, Cyber Security Pro shows the second alert in the browser window if the AMTSO PUA test file is downloaded, the AMTSO phishing test page is blocked with a similar warning (3rd alert). 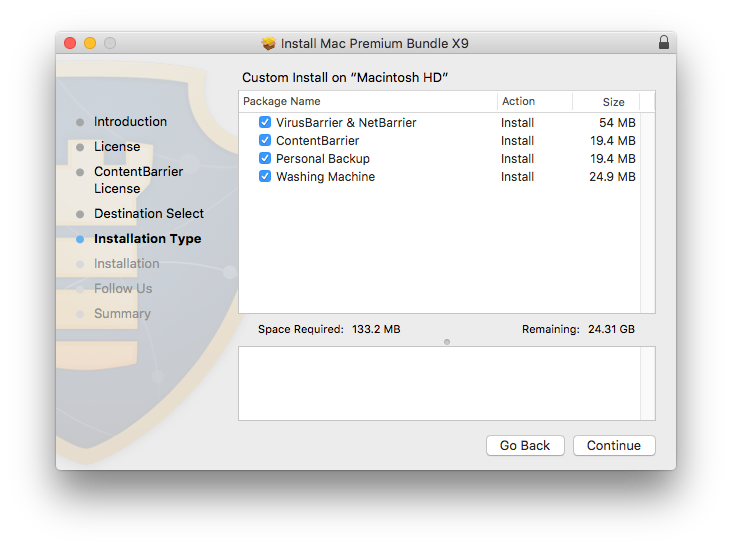 In addition to malware protection, the Mac Premium Bundle X9 includes a firewall, backup, parental controls and a cleaning tool. We are pleased to see the very clear status display, showing a warning if protection is disabled, in the new version. The overlay showing the functions available in the window is a clever means of introducing the program quickly to new users. Protection against Mac malware in our test was flawless. A restart is required when the installation is complete. After this, the product has to be activated or the trial version selected. The program asks the user to define a protection level (we used the default Standard). 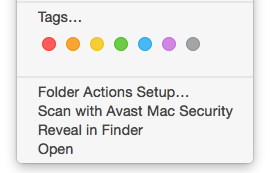 A Scan with VirusBarrier entry is added to the Finder context menu. Safari is not altered. The program can be uninstalled by re-running the installer program. This is described in the program’s knowledge base. If the user is logged on with a non-administrator account, administrator credentials have to be entered to disable the protection or uninstall the program. Malware signatures (which are updated automatically) can be manually updated from the VirusBarrier menu in the Mac menu bar, or by clicking the Installed Definitions link in the top right-hand corner of the window. Scheduled scans can be setup from the Schedule… button on the program’s home page. 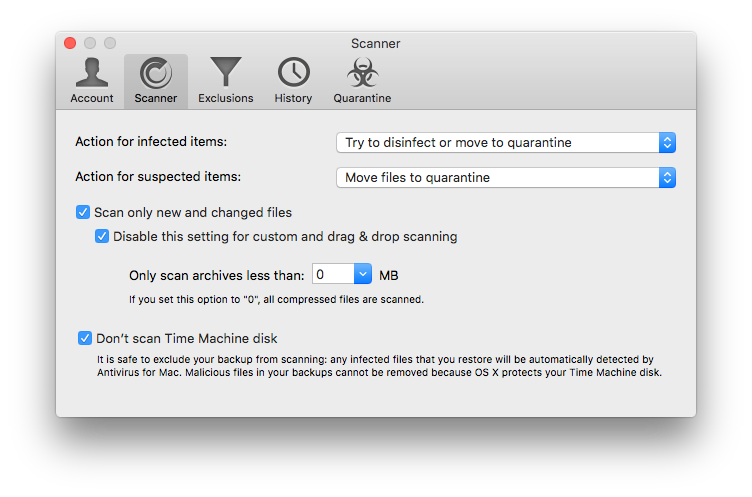 A custom scan can be started by dragging a drive, folder or file from Finder to the iMac graphic in the program window. Custom scans can be run from the File menu in the Mac menu bar. Preferences can be found in the VirusBarrier menu. Quarantine has its own button in the top left-hand corner of the window, and logs can be found in the Window menu. Clicking the VirusBarrier menu, then About VirusBarrier, shows the licence key used, but we could not find a means of showing the expiry date. The Show Basic Help entry in the same menu displays the overlay shown after installation. If the user enables detection of Hacking tools and Keyloggers in the settings (or selects Maximum protection at the end of the installation process), Virus Barrier detects the AMTSO PUA test file, with a similar alert to the one above being shown. 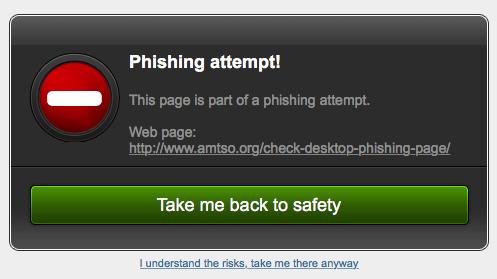 Intego does not support the AMTSO phishing test page. In last year’s report, we noted a number of firewall prompts, some relating to other components of the Intego suite. We are pleased to report that we did not see any such prompts during testing for this year’s report. 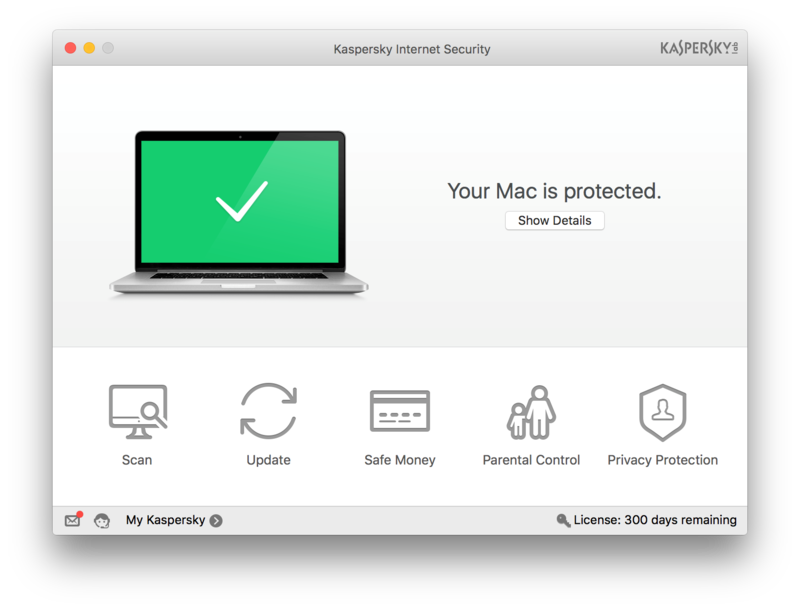 Kaspersky Internet Security for Mac includes malware protection, phishing protection, parental controls, plus Safe Money (protects online banking) and Privacy Protection (allows blocking the webcam, and prevents tracking by ad services). 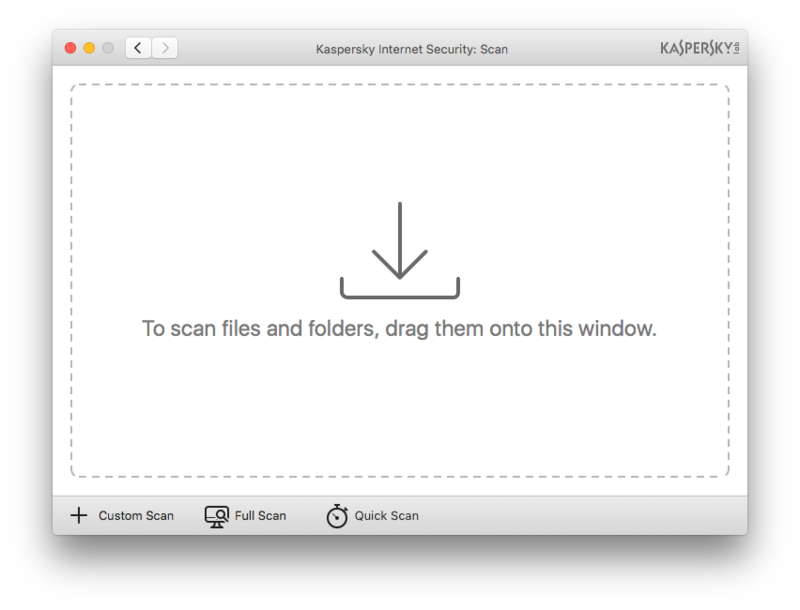 Kaspersky Internet Security for Mac has a clear, modern design that makes important features and information easy to find. Users of its Windows counterpart will easily find their way around the program, and help features are good. Protection against Mac malware in our test was flawless. The setup wizard could inform the user to the fact that Safari extensions are available (the Browsers tab in the program’s Preferences links to these). Additionally, the user manual would benefit the addition of appropriate screenshots. A 182 MB .DMG installer file is provided. 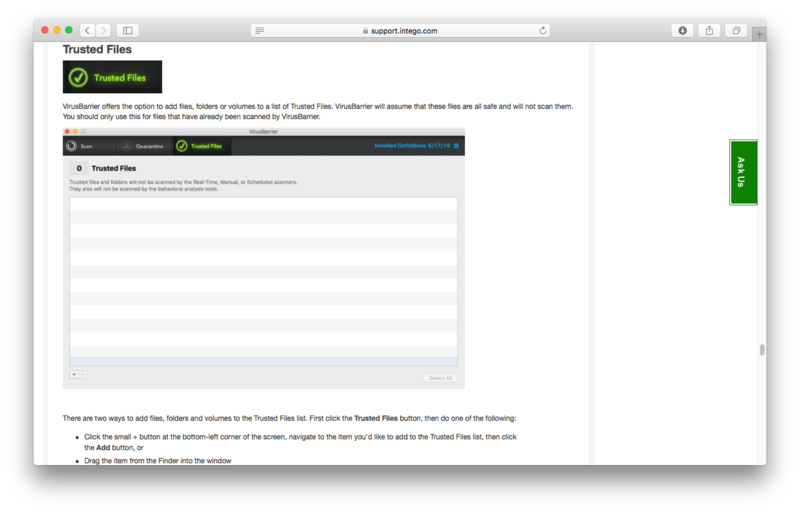 The download page also includes a link to the product manual. The only option in the setup wizard is whether to join the Kaspersky Security Network (data sharing scheme). 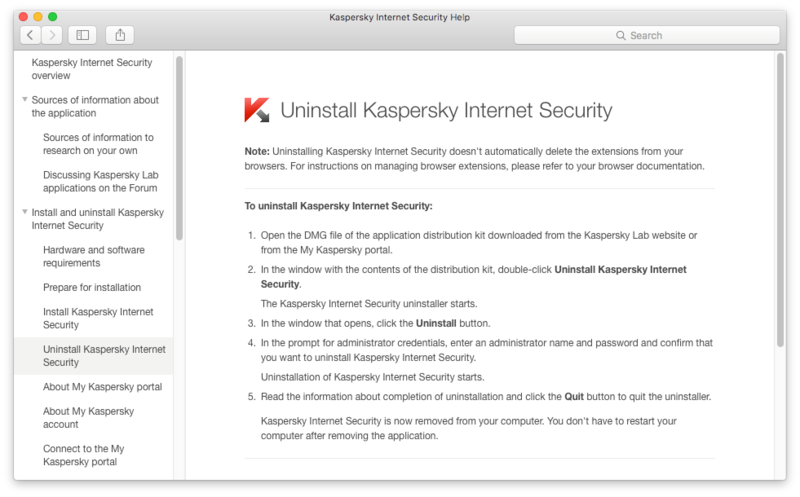 The program can be uninstalled by re-running the installer program and selecting Uninstall Kaspersky Internet Security. The program cannot be uninstalled, or the protection deactivated, using non-administrator credentials. Protection can be easily reactivated by clicking Turn Protection On. Malware signatures can be updated from the System Tray menu, Protection and Kaspersky Internet Security menus, or the button on the main window. Settings (Preferences) are found in the Kaspersky Internet Security menu, and subscription information is shown in the bottom right-hand corner of the main window. There is a local help feature, which can be opened from the Help menu. It provides comprehensive text instructions for installing, configuring and using the program. A comprehensive manual is available for download from the Kaspersky Lab website. This is well written and clearly laid out, but with the exception of a few icons, does not include any screenshots. A similar alert is shown for the AMTSO phishing test page, and (if Other applications is selected in Preferences/Threats) for the AMTSO PUA test file. In the default configuration (without Safari extensions installed), search ratings are not shown for Google searches in Safari. 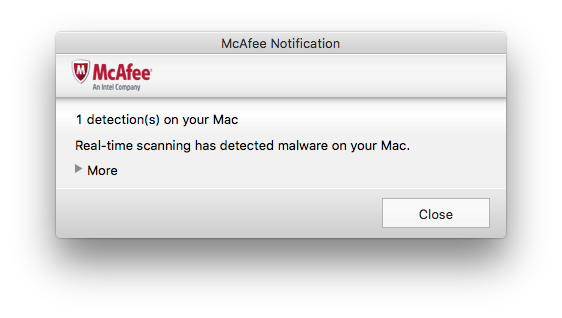 McAfee LiveSafe for Mac is an antimalware program with firewall. 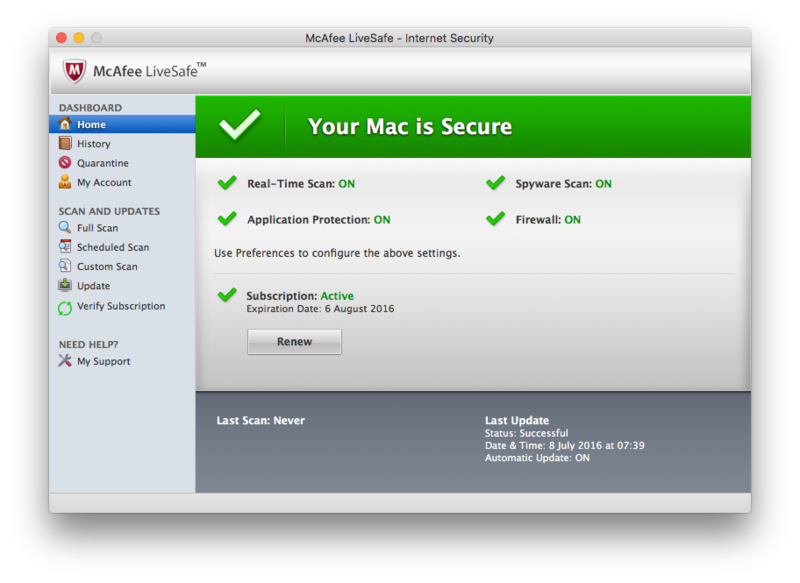 We found McAfee LiveSafe for Mac very easy to install and use. Important features and information are largely easy to find. Protection against Mac malware in our test was flawless. A “Fix-All” button, to rectify problems such as disabled protection or outdated signatures, would be useful. A 6 MB .DMG installer file is provided. 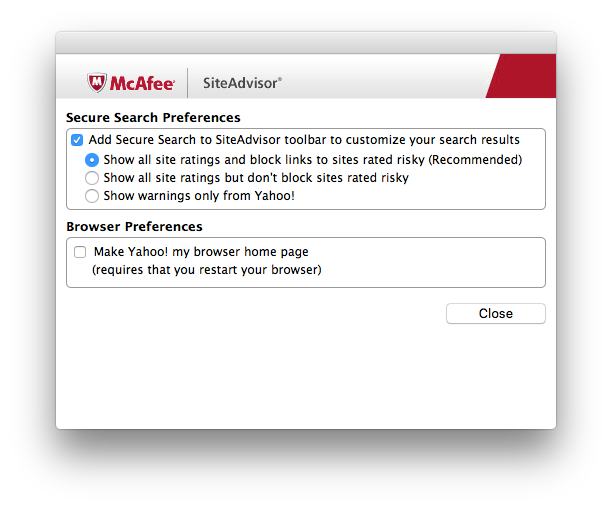 The user has to confirm the installation of, and options for, the SiteAdvisor extension for Safari (shown below), and state whether the current network should be regarded as private or public (for the McAfee firewall). 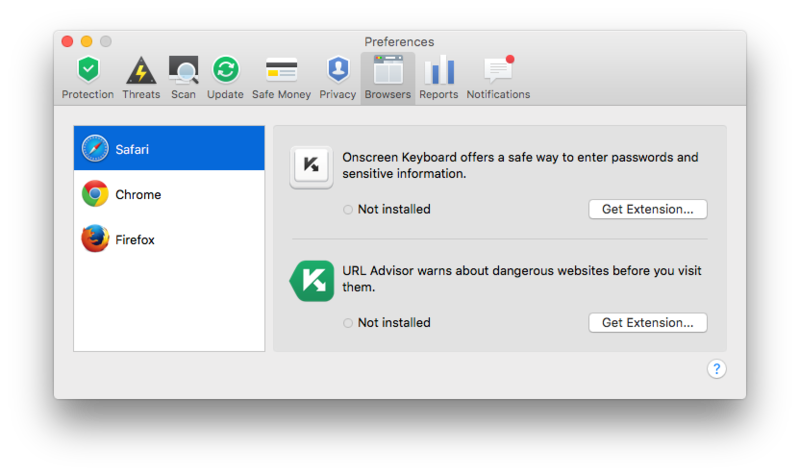 LiveSafe for Mac adds menus and a system tray icon to the Mac menu bar, and a SiteAdvisor extension to Safari. An uninstaller program is provided, and can be found in the Applications folder. The protection cannot be disabled, or the program uninstalled, without entering administrator credentials. There is no “Fix-All” button to reactivate the protection, but a message to use Preferences to turn on disabled features is displayed. Malware signatures can be updated by clicking the Update link in the menu panel on the left-hand side of the window. Full, custom and scheduled scans can be run from the respective links in the left-hand menu panel. 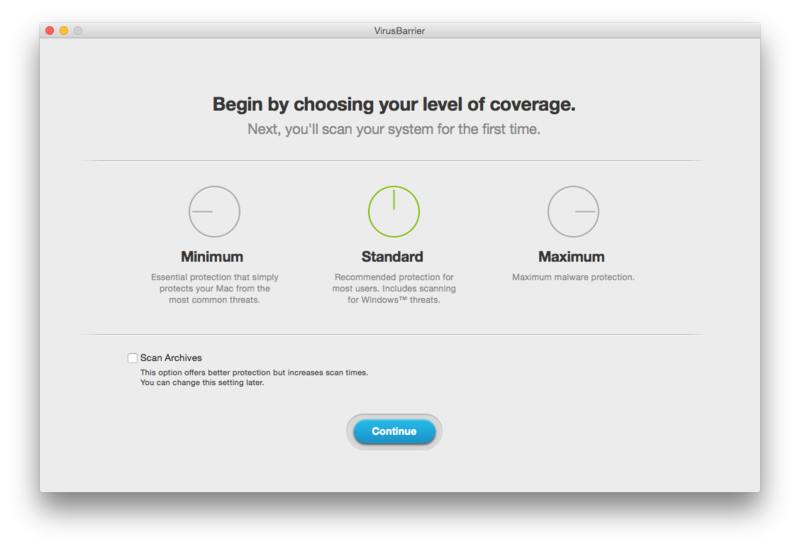 Settings (Preferences) can be found in the McAfee LiveSafe… menu in the Mac menu bar. Quarantine and logs (History) have their own links in the menu panel on the left. Subscription information is displaye in the main panel of the program window. 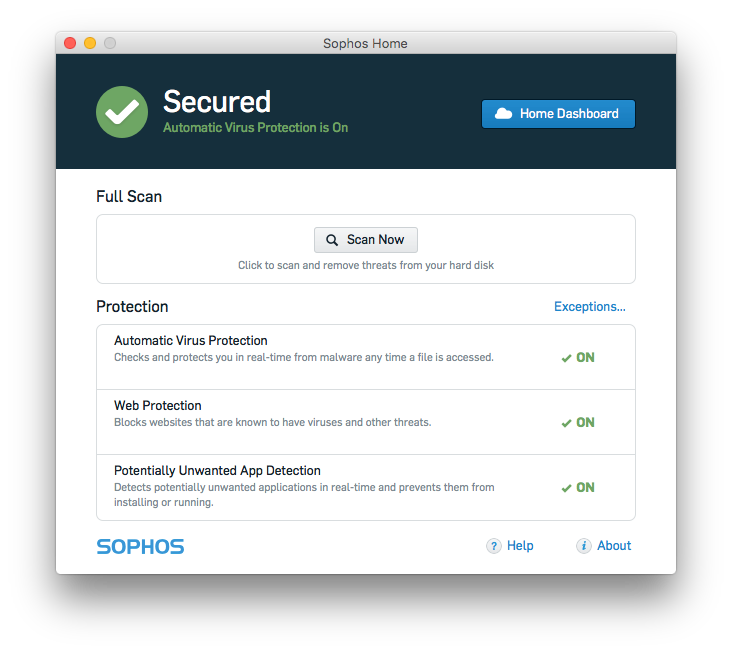 Sophos Home for Mac provides malware and phishing protection with parental controls. It is installed and managed using the Sophos Home cloud management console. Protection against Mac malware in our test was flawless. The very clean and simple design of the program interface, both in the program window and the management console, makes it very easy to use. The consistency of design between the Mac and Windows versions will be appreciated by anyone who uses or manages both platforms. Protection against Mac malware in our test was flawless. The setup wizard has no options and can be completed with a single click. No changes are made to Safari; Sophos inform us that they provide web security for Safari and other browsers, but by other means than plug-ins. Sophos Home has its own uninstaller program. The help feature describes how to run this by using the Mac’s Spotlight search function. Protection can only be deactivated from the cloud console, so only users who have the console credentials are able to do this. Removing the software requires administrator credentials to be entered, regardless of who is logged in. To reactivate protection, the user has to use the Sophos Home cloud management console. Full scans can be run from the program’s home page, or the device’s page in the console. Custom scans can be run by right-clicking a drive, folder or file, and right-clicking Scan with Sophos Home. We could not find a means of running a scheduled scan. Preferences are limited to enabling and disabling the three main protection components, and settings scan exceptions, both of which can be done from the cloud management console. The console also displays malware detection logs (Device Events). There is no quarantine as such. 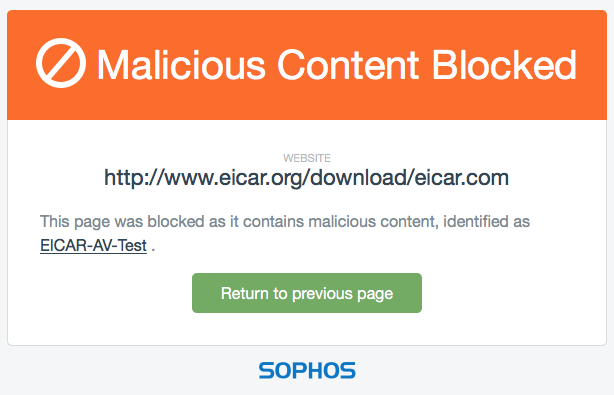 If the EICAR test file is downloaded, Sophos Home blocks the download and displays an alert in the browser window as seen in the first screenshot. 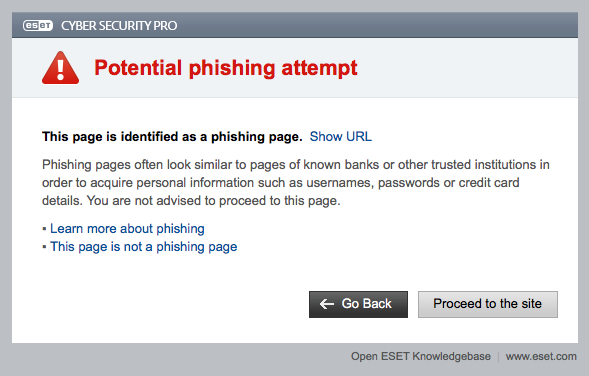 A similar alert is shown if the AMTSO phishing test page is accessed. If the AMTSO PUA test file is downloaded, Sophos displays an alert message box, and also shows an alert in the status area of the program window. There is a Sophos Home antivirus for Windows, which has an identical window layout to the Mac version. Management of Mac and Windows devices from the console is identical. 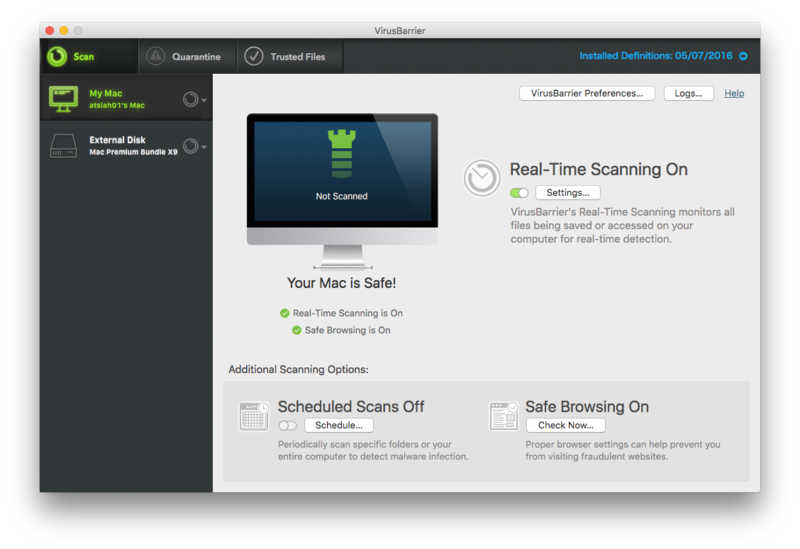 Webroot Internet Security Complete for Mac is an antimalware solution with a password manager, backup feature, system optimiser and identity protection. The program’s interface is easy to navigate and makes important functions easy to find. Anyone who uses or manages both Windows and Mac platforms will find the consistency of design between the two versions helpful. Protection against Mac malware in our test was flawless. The ability to password-protect the settings, in order to prevent unauthorised users disabling the protection, would be useful. A 1 MB .DMG installer file is downloaded. There is a choice of UI languages. 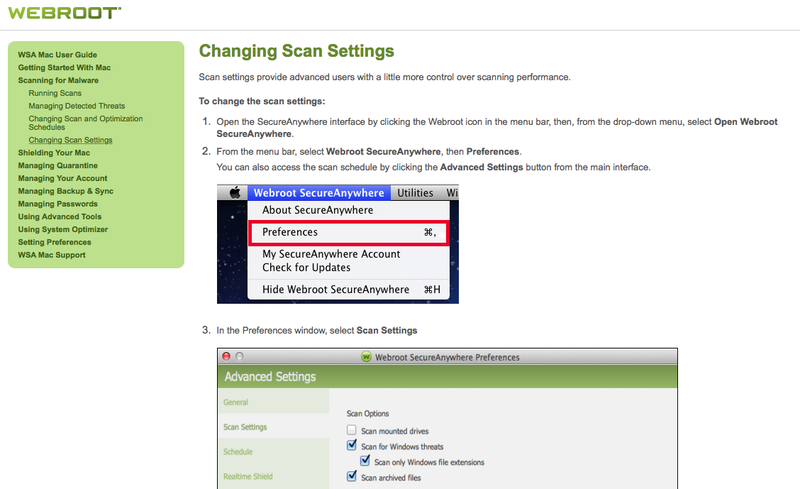 The setup wizard encourages the user to create a Webroot account, although this is optional. A Safari extension by the name of “webfilter” is added. 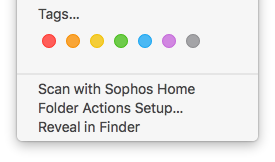 The Finder context menu is not altered. The program can be uninstalled by shutting it down and dragging the program’s icon in the Applications folder to the Trash. It is possible to deactivate protection using a non-administrator account. We could not find a means of preventing this in the program settings. Uninstalling the software requires administrator credentials to be entered, however. 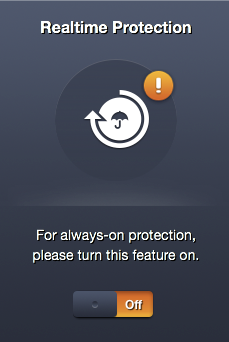 Clicking Enable Now immediately reactivates protection. 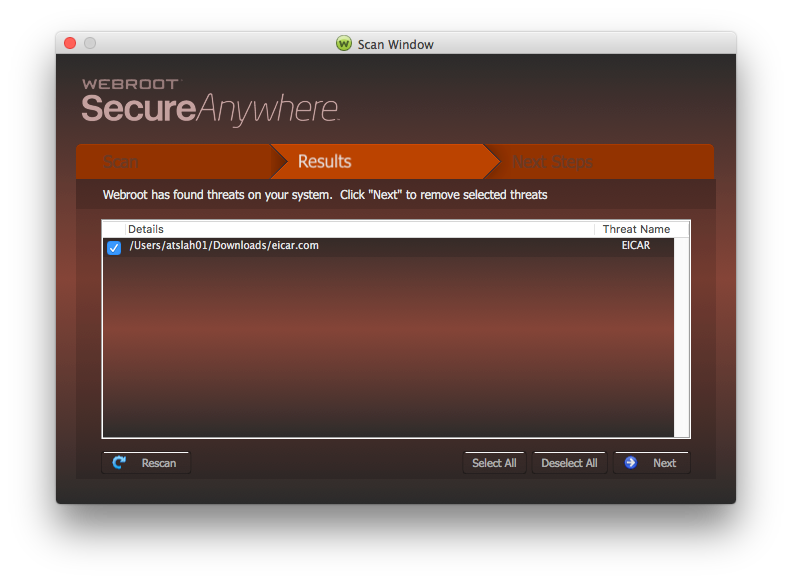 Webroot SecureAnywhere does not use local malware signatures and so there is no need for an update feature. A scheduled scan can also be set by clicking Schedule in the Advanced Settings dialog box. Preferences can be set by clicking Advanced Settings in the top right-hand corner of the program window. There is a Quarantine button in the settings panel on the left-hand side of the program window. 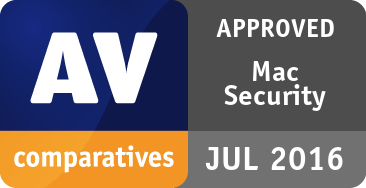 All of the products we have reviewed protected the Mac test system against 100% of the recent Mac malware samples used, performed everyday functions satisfactorily and without noticeably affecting system performance, and so receive our Approved Security Product Award. Please note that the test covers protection against Mac malware and detection of Windows malware, while the review looks at ease of use and help functions. Potential users should also consider additional features and price before choosing a product. We always recommend installing a trial version of any paid-for product before making a purchase. 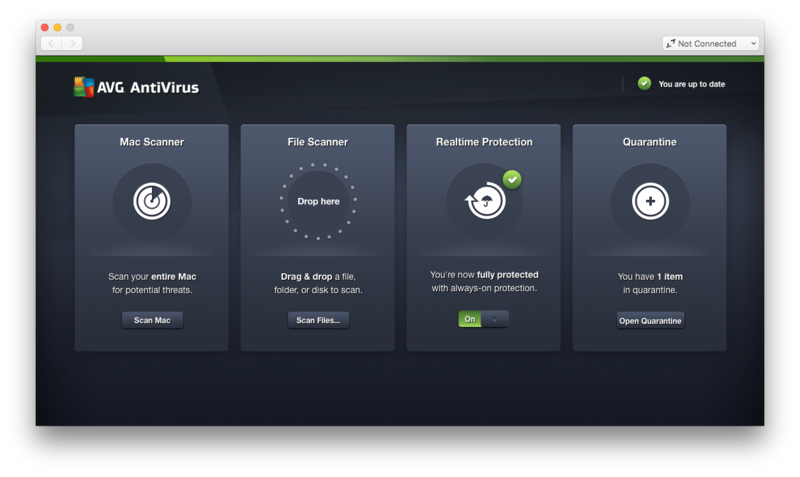 Avast Free Mac Security has all the important features of an antivirus program and is largely very simple to use. We particularly liked the informative and persistent malware alerts. AVG AntiVirus for Mac is a free program with a very clear and straightforward interface, making it suitable for experts and non-experts alike. The help feature is simple but useful. Avira Free Antivirus for Mac is very simple to install and use, and makes all important functions easy to find. We particularly liked the expandable tool tips in the main program window. 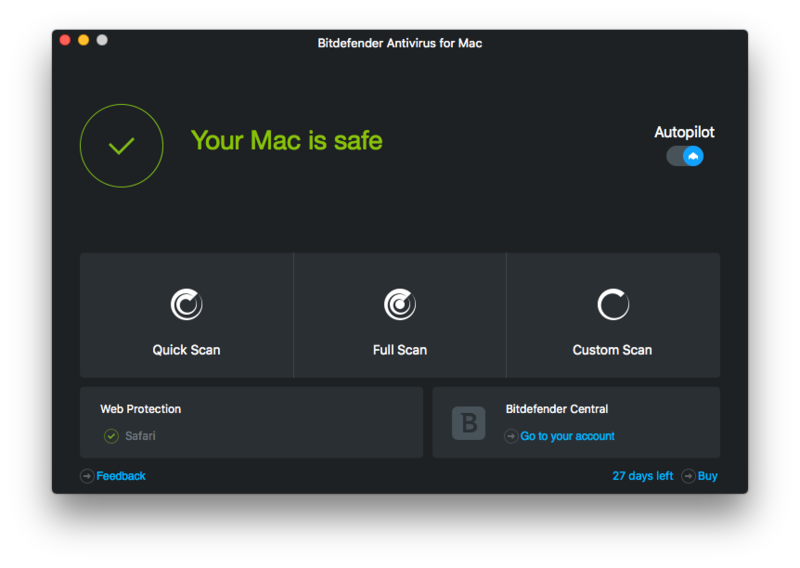 Bitdefender Antivirus for Mac has a new design for the program window, similar to its Windows counterpart, and we had no difficulty finding any important features. There is a well-produced and comprehensive user’s manual. ESET Cyber Security Pro retains its clear, well-designed interface and exemplary help facilities in version 6, making it easy to use for both experts and non-experts. 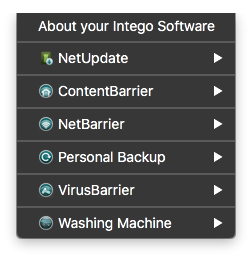 Intego Mac Premium Bundle X9 has a very clear status display in the new version, showing a warning if protection is disabled. The overlay showing the functions available in the window is a clever means of introducing the program quickly to new users. Kaspersky Internet Security for Mac has a clear, modern design that makes important features and information easy to find. Users of its Windows counterpart will easily find their way around the program, and help features are good. 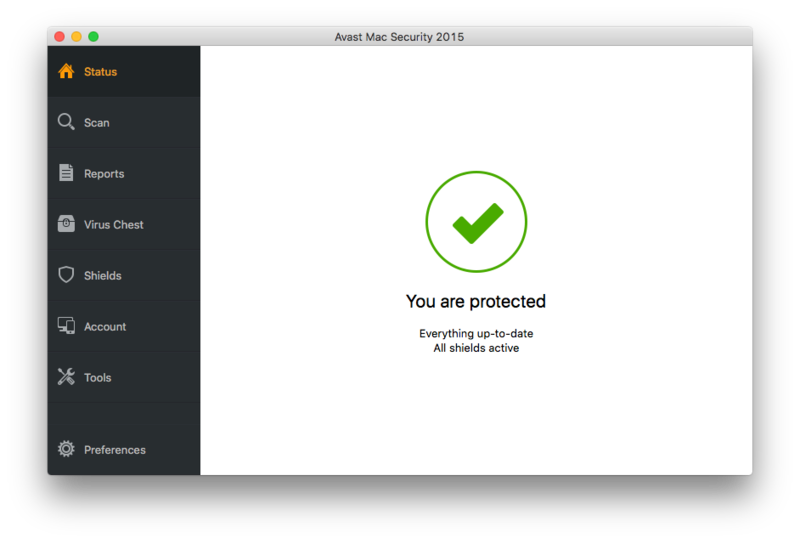 McAfee LiveSafe for Mac is very easy to install and use. Important features and information are largely easy to find. 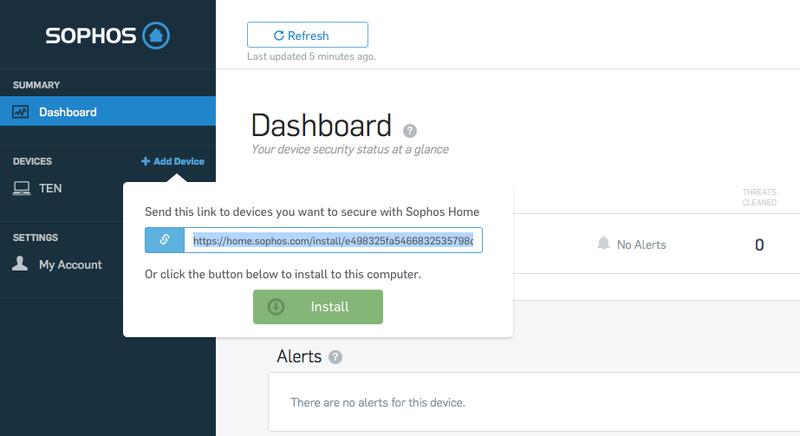 Sophos Home for Mac is an easy-to-use free program, managed by cloud console. The consistency of design between the Mac and Windows versions will be appreciated by anyone who uses or manages both platforms. 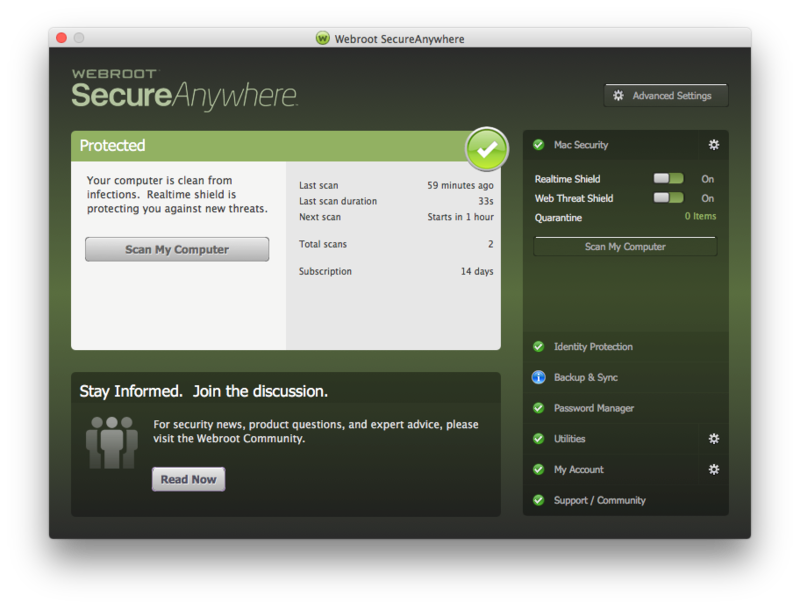 Webroot SecureAnywhere Internet Security for Mac The program’s interface is easy to navigate and makes important functions easy to find. Anyone who uses or manages both Windows and Mac platforms will find the consistency of design between the two versions helpful.